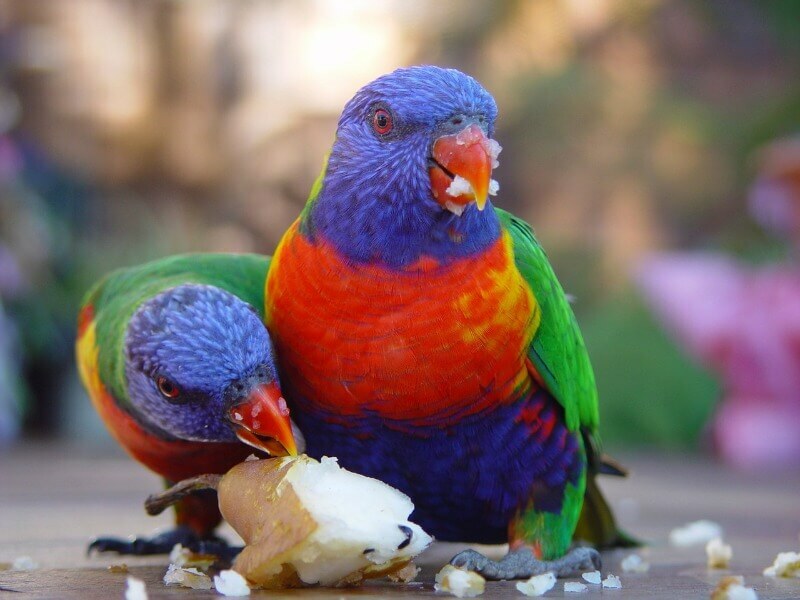 There is one spot, not far from the central business district of Melbourne, where you are able to hand-feed unusually tame Australian parrots. Grants Picnic Ground lies deep in the heart of the Dandenong rainforest. The picnic ground is just a short drive from the city. This is a popular destination for both Tourists and locals, as there are ample picnic areas to enjoy whilst spending time with the birds. 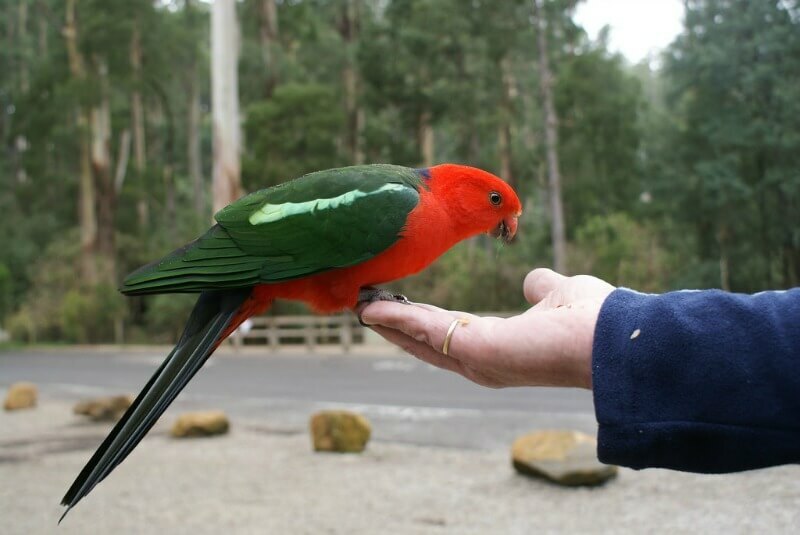 Many examples of our Native Birds can be found here in the magnificent Dandenong Ranges. Some birds are quite tame and enjoy human interaction, whilst others are timid and secretive. Before your close encounter, make sure that you drop into Grants On Sherbrooke. 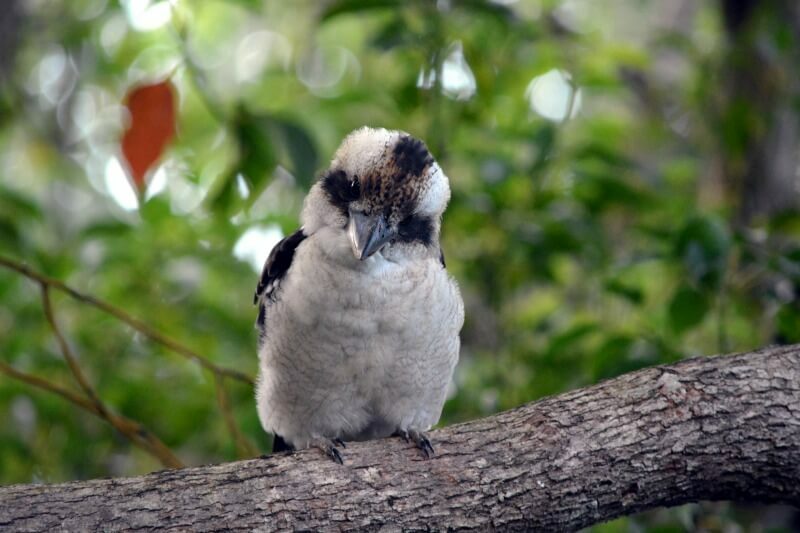 Purchase a bag of bird-seed, stroll down one of the walking tracks and enjoy this unique experience. Make your way to the hamlet of Upper Ferntree Gully at the base of the Dandenong Mountains. Travel deep into the heart of the Sherbrook Forest, just an easy drive up through gigantic eucalyptus gum trees that stand tall and straight either side of the road. Pass luscious, prehistoric ferns and bubbling brooks and into the magnificent Dandenong Ranges. Explore quaint little mountain villages on the way such as Upwey, Tecoma and Belgrave. 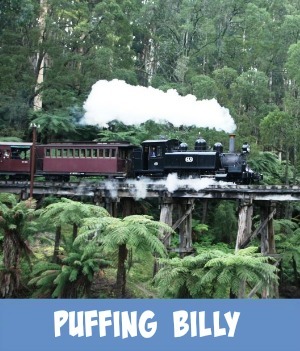 Discover the new home of Melbourne's world famous Puffing Billy in Belgrave. Use this map to find directions on how to get there. Click the right hand top icon and the map will open up. Just fill in your starting point and the destination, Grants Picnic ground, and it's that easy. 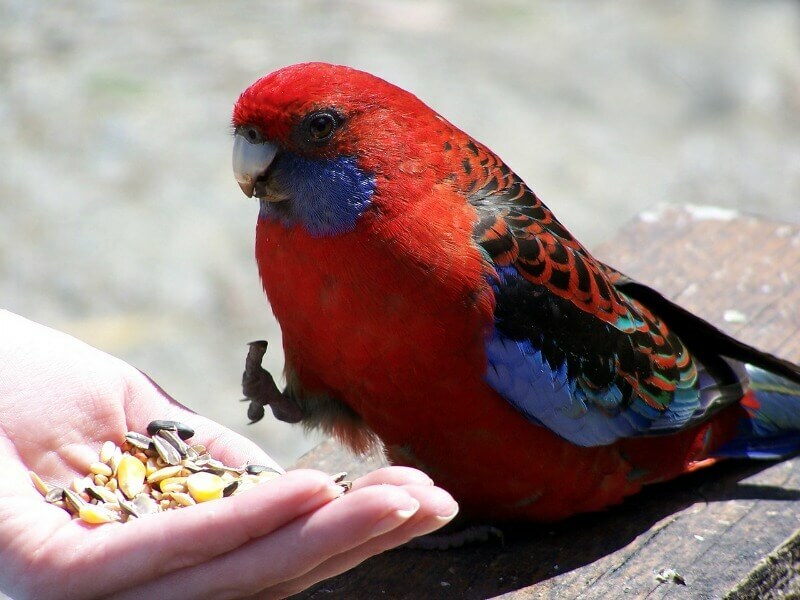 Hand Feeding Australian Native Birds - How Exciting Is That! Why not put together a great family picnic meal and then just choose one of the ample picnic tables that are scattered throughout the grounds. Get there fairly early as the area is very popular and can fill quite quickly. The weekends are especially busy, so perhaps a visit during the week may be a better idea. Tuck in and enjoy your meal amongs the rainforest Australian plants and listen out, perhaps for the song of a laughing kookaburra. If you enjoy the thrill of bird watching or just like to challenge yourself and try and identify as many species as you can when out and about, then may I suggest that you pick up your copy of the latest edition of The Field Guide to the Birds of Australia. 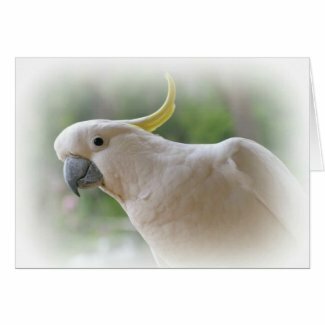 Well respected guide to Australian bird identification. Well suited to the expert as well as for the amateur. 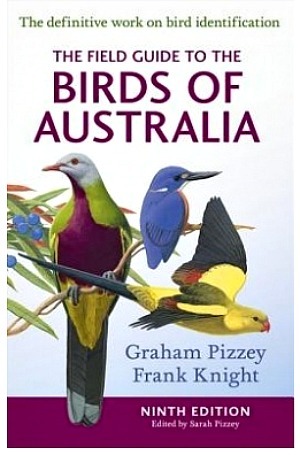 The book is filled with full colour illustralions by Frank Knight. sulphur crested cockatoo to mention just a few. You may choose to enjoy a delicious selection from the menu at Grants on Sherbrook, formally known as 'The Sherbrook Tearooms'. The Licensed Bistro has been extensively renovated and you can now dine either inside or al-freso on the expansive outdoor deck watching the Australian Native Birds. 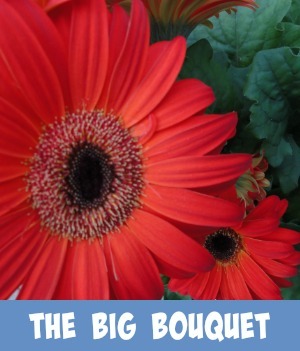 They also provide a delicious take-away service and yummy picnic hampers, grab your bag of birdseed and head on outback to feed the Australian Native Birds. 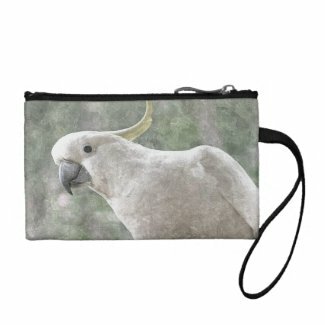 Choose a unique gift or souvenir of our Australian native birds as they have an extensive range, they also have a great selection of toys and games.. 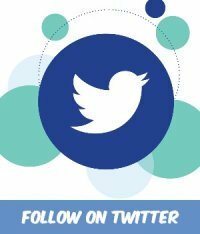 If you are into art and craft browse through locally produced handcrafts and produce. You may like to consider enjoying a ride on the heritage train through the Dandenong Ranges, soaking up the history and the atmosphere of this beautiful region. 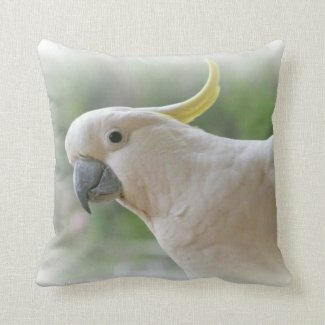 You can see many Australian native birds along the way, as well as some of the other unique Australian fauna. Just park you car at the Puffing Billy platform at the Belgrave railway station and hop on board. 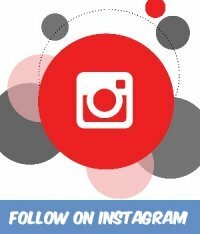 If you are touring, consider this fun guided tour, chosen from a selection that my travel partner, Viator, has on offer. Perhaps you have just cruised into Port Phillip Bay, maybe on the Golden Princess, and are looking to do something for the day. 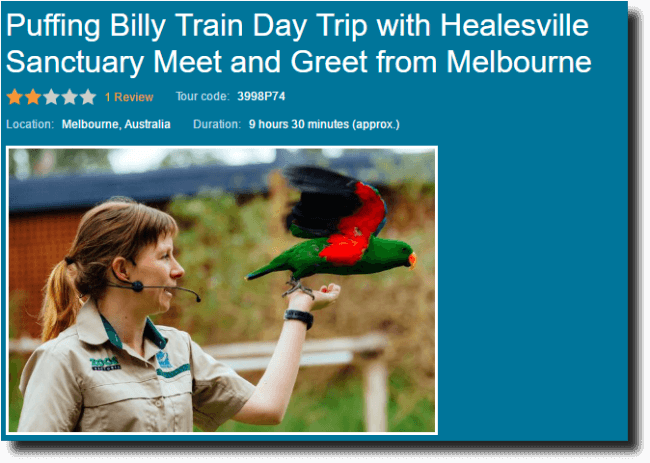 This tour is perfect for you as you will not only enjoy getting up close and personal with some of Australia's unique animals but you will also enjoy a ride on the world famous Puffing Billy steam train. You’ll be met by your guide at Port Melbourne and driven by comfortable air-conditioned coach about one hour through the Dandenong Ranges, known for cool-climate rainforest and extensive Eucalyptus forests. 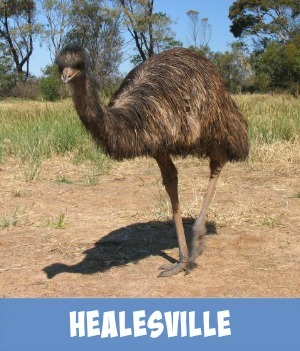 Visit the Healesville Sanctuary, one of the best places in Victoria to see and interact with native Australian wildlife. Take a break for a typical Aussie barbecue lunch of locally sourced sausages served with a variety of toppings. 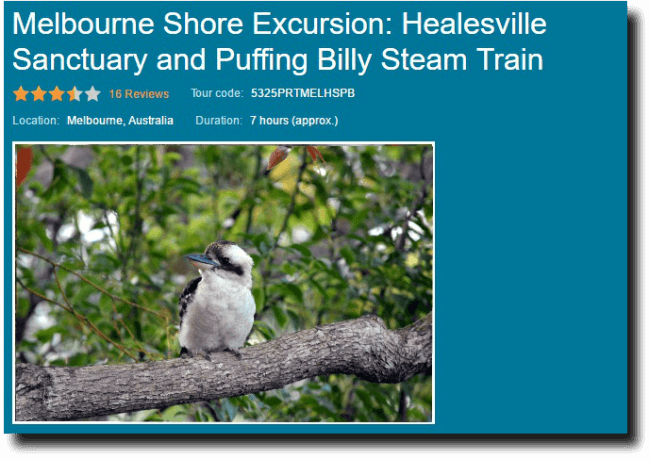 Once you have enjoyed the food and hospitality, you’ll reboard your coach and head to the Puffing Billy Steam Train in Belgrave. Click the Buy Now button for more extensive information. Maybe you might like to stay up here in the clear, clean fresh air and rejuvenate yourself, why not treat the whole family or perhaps just share the experience with your loved one. Enjoy some of Melbourne's best hospitality high up in the Dandenong mountains. 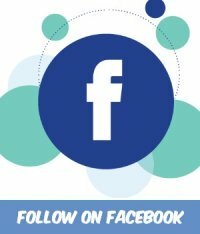 Allow my travel partner, Booking.com, help you choose the best place to stay. 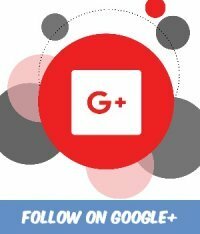 Make sure that you read other client's recommendations. Whilst you are there take a look at the rest of my uniquely designed products.